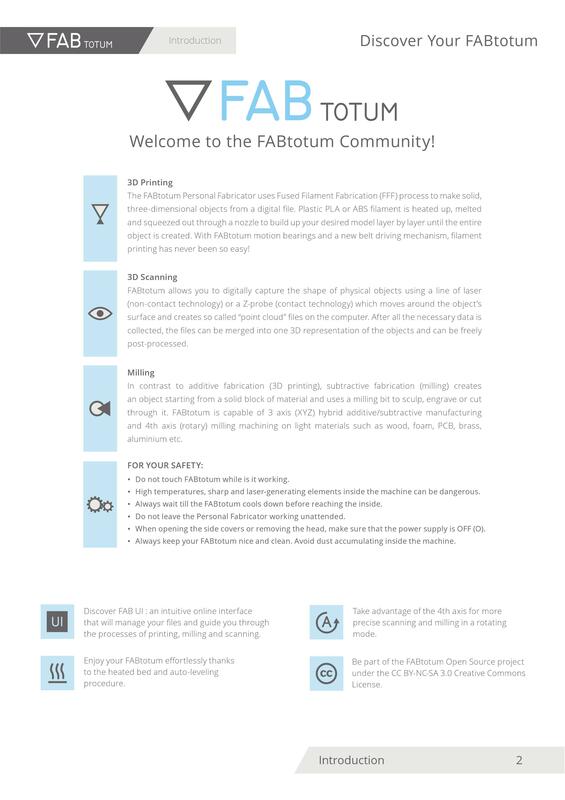 Complete design of User Manual, content editing and iconography for the User Interface for an Italian technological start-up FABtotum producing the first multi-purpose open-source personal fabrication device. See the complete user manual HERE. See the user interface HERE.